Including Popcorn Buffets, Snack Bar Stations, and Candy Buffets can definitely enhance the overall experience at your event! 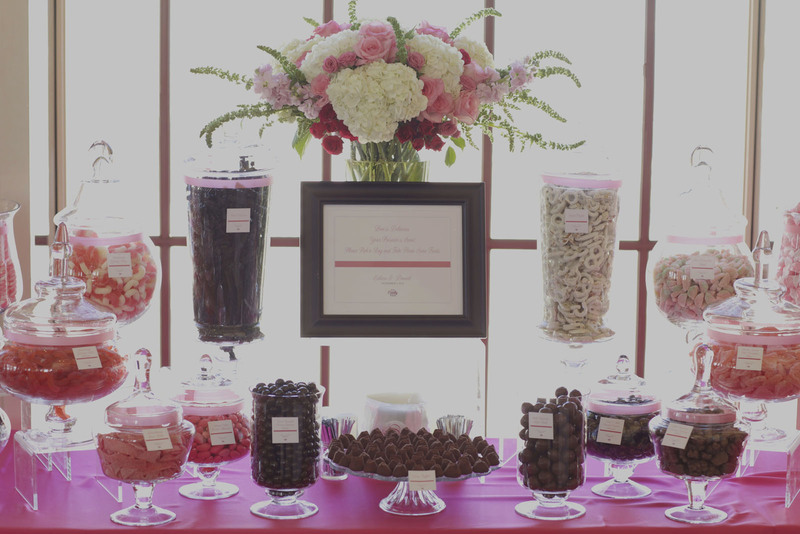 If you are hosting an event in and around the areas of Silicon Valley, Peninsula, Palo Alto, and Cupertino, let the SF Candy Bar help you deliver the best and most unforgettable party for your guests through our creatively crafted Candy Bar Buffets, Popcorn Buffets, Snack Bar Stations, Healthy Trail Mix Buffets, and Party Favors! Catering to both corporate and social events, we have been trusted by many because we live up to our mission of providing consistent quality results on all of the party projects that we handle. At SF Candy Bar, we work closely with our clients to achieve their desired menu and designs. Whether it’s a Snack Bar Station, Popcorn Buffet Station, or Dessert Bar Station rest assured that we will create a beautifully enticing design for your special event. Again, our catering services are available in Silicon Valley, Peninsula, Palo Alto, and Cupertino, and other nearby areas. Make your party come alive with the amazing Candy Buffets, Snack Bar Stations, Popcorn Buffets, and Healthy Trail Mix Buffets by SF Candy Bar! Catering in and around Silicon Valley, Peninsula, Palo Alto, and Cupertino, and other nearby areas, we can transform your ordinary party into a magical one through our beautifully crafted sweets buffets. Visit our website or contact us now to request for a quote. Please use the below form to provide us with your event information for a custom quote. For General Questions, Please call us at 415-562-6370 or email us at yvette@sfcandybar.com. Level up your party with the best design snack station catering Silicon Valley, best design snack station catering Peninsula, best design snack station catering Palo Alto, best design snack station catering Cupertino, best design popcorn and snack buffet station Silicon Valley, best design popcorn and snack buffet station Peninsula, best design popcorn and snack buffet station Palo Alto, best design popcorn and snack buffet station Cupertino, best design popcorn buffet station Silicon Valley, best design popcorn buffet station Peninsula, best design popcorn buffet station Palo Alto, best design popcorn buffet station Cupertino, best design snack buffet station Silicon Valley, best design snack buffet station Peninsula, best design snack buffet station Palo Alto, best design snack buffet station Cupertino of SF Candy Bar! If you’re having a company party to celebrate a milestone or a personal event such as weddings or birthdays, setting up SF Candy Bar’s best snack station catering Silicon Valley, best snack station catering Peninsula, best snack station catering Palo Alto, best snack station catering Cupertino, best popcorn and snack buffet station Silicon Valley, best popcorn and snack buffet station Peninsula, best popcorn and snack buffet station Palo Alto, best popcorn and snack buffet station Cupertino, best popcorn buffet station Silicon Valley, best popcorn buffet station Peninsula, best popcorn buffet station Palo Alto, best popcorn buffet station Cupertino, best snack buffet station Silicon Valley, best snack buffet station Peninsula, best snack buffet station Palo Alto, best snack buffet station Cupertino is a fantastic way to indulge your guests. With the amazingly delicious snack station catering Silicon Valley, snack station catering Peninsula, snack station catering Palo Alto, snack station catering Cupertino, popcorn and snack buffet station Silicon Valley, popcorn and snack buffet station Peninsula, popcorn and snack buffet station Palo Alto, popcorn and snack buffet station Cupertino, popcorn buffet station Silicon Valley, popcorn buffet station Peninsula, popcorn buffet station Palo Alto, popcorn buffet station Cupertino, snack buffet station Silicon Valley, snack buffet station Peninsula, snack buffet station Palo Alto, snack buffet station Cupertino, your party will definitely be a blast! Nowadays, parties are never complete without best design snack station catering Silicon Valley, best design snack station catering Peninsula, best design snack station catering Palo Alto, best design snack station catering Cupertino, best design popcorn and snack buffet station Silicon Valley, best design popcorn and snack buffet station Peninsula, best design popcorn and snack buffet station Palo Alto, best design popcorn and snack buffet station Cupertino, best design popcorn buffet station Silicon Valley, best design popcorn buffet station Peninsula, best design popcorn buffet station Palo Alto, best design popcorn buffet station Cupertino, best design snack buffet station Silicon Valley, best design snack buffet station Peninsula, best design snack buffet station Palo Alto, best design snack buffet station Cupertino as part of the menu. At SF Candy Bar, we create only the best snack station catering Silicon Valley, best snack station catering Peninsula, best snack station catering Palo Alto, best snack station catering Cupertino, best popcorn and snack buffet station Silicon Valley, best popcorn and snack buffet station Peninsula, best popcorn and snack buffet station Palo Alto, best popcorn and snack buffet station Cupertino, best popcorn buffet station Silicon Valley, best popcorn buffet station Peninsula, best popcorn buffet station Palo Alto, best popcorn buffet station Cupertino, best snack buffet station Silicon Valley, best snack buffet station Peninsula, best snack buffet station Palo Alto, best snack buffet station Cupertino that your guests can surely enjoy. Our snack station catering Silicon Valley, snack station catering Peninsula, snack station catering Palo Alto, snack station catering Cupertino, popcorn and snack buffet station Silicon Valley, popcorn and snack buffet station Peninsula, popcorn and snack buffet station Palo Alto, popcorn and snack buffet station Cupertino, popcorn buffet station Silicon Valley, popcorn buffet station Peninsula, popcorn buffet station Palo Alto, popcorn buffet station Cupertino, snack buffet station Silicon Valley, snack buffet station Peninsula, snack buffet station Palo Alto, snack buffet station Cupertino are created by our team of creative experts who will work closely with you to ensure that we produce what they envision. With our years of experience in the industry of snack station catering Silicon Valley, snack station catering Peninsula, snack station catering Palo Alto, snack station catering Cupertino, popcorn and snack buffet station Silicon Valley, popcorn and snack buffet station Peninsula, popcorn and snack buffet station Palo Alto, popcorn and snack buffet station Cupertino, popcorn buffet station Silicon Valley, popcorn buffet station Peninsula, popcorn buffet station Palo Alto, popcorn buffet station Cupertino, snack buffet station Silicon Valley, snack buffet station Peninsula, snack buffet station Palo Alto, snack buffet station Cupertino, rest assured that we will fulfill your expectations beyond your imagination. Our best design snack station catering Silicon Valley, best design snack station catering Peninsula, best design snack station catering Palo Alto, best design snack station catering Cupertino, best design popcorn and snack buffet station Silicon Valley, best design popcorn and snack buffet station Peninsula, best design popcorn and snack buffet station Palo Alto, best design popcorn and snack buffet station Cupertino, best design popcorn buffet station Silicon Valley, best design popcorn buffet station Peninsula, best design popcorn buffet station Palo Alto, best design popcorn buffet station Cupertino, best design snack buffet station Silicon Valley, best design snack buffet station Peninsula, best design snack buffet station Palo Alto, best design snack buffet station Cupertino are personalized and unique for each of the events that we handle. And of course, our best snack station catering Silicon Valley, best snack station catering Peninsula, best snack station catering Palo Alto, best snack station catering Cupertino, best popcorn and snack buffet station Silicon Valley, best popcorn and snack buffet station Peninsula, best popcorn and snack buffet station Palo Alto, best popcorn and snack buffet station Cupertino, best popcorn buffet station Silicon Valley, best popcorn buffet station Peninsula, best popcorn buffet station Palo Alto, best popcorn buffet station Cupertino, best snack buffet station Silicon Valley, best snack buffet station Peninsula, best snack buffet station Palo Alto, best snack buffet station Cupertino are delicious. We always live up to our mission of producing consistently amazing snack station catering Silicon Valley, snack station catering Peninsula, snack station catering Palo Alto, snack station catering Cupertino, popcorn and snack buffet station Silicon Valley, popcorn and snack buffet station Peninsula, popcorn and snack buffet station Palo Alto, popcorn and snack buffet station Cupertino, popcorn buffet station Silicon Valley, popcorn buffet station Peninsula, popcorn buffet station Palo Alto, popcorn buffet station Cupertino, snack buffet station Silicon Valley, snack buffet station Peninsula, snack buffet station Palo Alto, snack buffet station Cupertino that people of all ages will surely enjoy. With our best snack station catering Silicon Valley, best snack station catering Peninsula, best snack station catering Palo Alto, best snack station catering Cupertino, best popcorn and snack buffet station Silicon Valley, best popcorn and snack buffet station Peninsula, best popcorn and snack buffet station Palo Alto, best popcorn and snack buffet station Cupertino, best popcorn buffet station Silicon Valley, best popcorn buffet station Peninsula, best popcorn buffet station Palo Alto, best popcorn buffet station Cupertino, best snack buffet station Silicon Valley, best snack buffet station Peninsula, best snack buffet station Palo Alto, best snack buffet station Cupertino, your otherwise ordinary party will be transformed into a magical one! We work collaboratively with our clients to ensure that we create the snack station catering Silicon Valley, snack station catering Peninsula, snack station catering Palo Alto, snack station catering Cupertino, popcorn and snack buffet station Silicon Valley, popcorn and snack buffet station Peninsula, popcorn and snack buffet station Palo Alto, popcorn and snack buffet station Cupertino, popcorn buffet station Silicon Valley, popcorn buffet station Peninsula, popcorn buffet station Palo Alto, popcorn buffet station Cupertino, snack buffet station Silicon Valley, snack buffet station Peninsula, snack buffet station Palo Alto, snack buffet station Cupertino that best fits their desires and preferences. At SF Candy Bar, we offer a broad array of designs and menus for all of our best snack station catering Silicon Valley, best snack station catering Peninsula, best snack station catering Palo Alto, best snack station catering Cupertino, best popcorn and snack buffet station Silicon Valley, best popcorn and snack buffet station Peninsula, best popcorn and snack buffet station Palo Alto, best popcorn and snack buffet station Cupertino, best popcorn buffet station Silicon Valley, best popcorn buffet station Peninsula, best popcorn buffet station Palo Alto, best popcorn buffet station Cupertino, best snack buffet station Silicon Valley, best snack buffet station Peninsula, best snack buffet station Palo Alto, best snack buffet station Cupertino. Whether it’s big company event or a wedding, we have the perfect the snack station catering Silicon Valley, snack station catering Peninsula, snack station catering Palo Alto, snack station catering Cupertino, popcorn and snack buffet station Silicon Valley, popcorn and snack buffet station Peninsula, popcorn and snack buffet station Palo Alto, popcorn and snack buffet station Cupertino, popcorn buffet station Silicon Valley, popcorn buffet station Peninsula, popcorn buffet station Palo Alto, popcorn buffet station Cupertino, snack buffet station Silicon Valley, snack buffet station Peninsula, snack buffet station Palo Alto, snack buffet station Cupertino for almost any type of event. Say no more to boring parties because our the snack station catering Silicon Valley, snack station catering Peninsula, snack station catering Palo Alto, snack station catering Cupertino, popcorn and snack buffet station Silicon Valley, popcorn and snack buffet station Peninsula, popcorn and snack buffet station Palo Alto, popcorn and snack buffet station Cupertino, popcorn buffet station Silicon Valley, popcorn buffet station Peninsula, popcorn buffet station Palo Alto, popcorn buffet station Cupertino, snack buffet station Silicon Valley, snack buffet station Peninsula, snack buffet station Palo Alto, snack buffet station Cupertino will amp up the overall party ambience! Get now the expertise of SF Candy Bar on amazing the snack station catering Silicon Valley, snack station catering Peninsula, snack station catering Palo Alto, snack station catering Cupertino, popcorn and snack buffet station Silicon Valley, popcorn and snack buffet station Peninsula, popcorn and snack buffet station Palo Alto, popcorn and snack buffet station Cupertino, popcorn buffet station Silicon Valley, popcorn buffet station Peninsula, popcorn buffet station Palo Alto, popcorn buffet station Cupertino, snack buffet station Silicon Valley, snack buffet station Peninsula, snack buffet station Palo Alto, snack buffet station Cupertino for your upcoming event. With commitment to creating the best the snack station catering Silicon Valley, snack station catering Peninsula, snack station catering Palo Alto, snack station catering Cupertino, popcorn and snack buffet station Silicon Valley, popcorn and snack buffet station Peninsula, popcorn and snack buffet station Palo Alto, popcorn and snack buffet station Cupertino, popcorn buffet station Silicon Valley, popcorn buffet station Peninsula, popcorn buffet station Palo Alto, popcorn buffet station Cupertino, snack buffet station Silicon Valley, snack buffet station Peninsula, snack buffet station Palo Alto, snack buffet station Cupertino, we’re definitely your number one choice for sweet party favors. Call us now and we’ll be more than happy to walk you through our the snack station catering Silicon Valley, snack station catering Peninsula, snack station catering Palo Alto, snack station catering Cupertino, popcorn and snack buffet station Silicon Valley, popcorn and snack buffet station Peninsula, popcorn and snack buffet station Palo Alto, popcorn and snack buffet station Cupertino, popcorn buffet station Silicon Valley, popcorn buffet station Peninsula, popcorn buffet station Palo Alto, popcorn buffet station Cupertino, snack buffet station Silicon Valley, snack buffet station Peninsula, snack buffet station Palo Alto, snack buffet station Cupertino!